–	I want high-calibre MPs. I want the best people in Britain to be voices I hear coming from the House of Commons and representing us there. We, the people, deserve that. –	This isn’t a party issue. There are good and admirable members in all parties. There are noses in the trough on every side too. –	The rules and regulations as they stand are totally crazy. –	Regardless of the economic situation, ensuring our representatives can operate as we’d hope, will cost money. Whether that’s reflected with a salary, office support or living costs, there will be expense. –	Most of our MPs must lead a life in London and their constituency and run offices too if they’re going to be effective. We need to accept that. The papers and journalists need to accept that. –	Every citizen must be able to check MP’s expenses. The information must be clearly produced for all to understand. I think Jo Swinson MP does a good job of this herself: she publishes her expenses quarterly on her website. –	Raise the MP basic salary. I want the best people to be MPs and I don’t want brilliant brains to shun politics because the money’s not comparable to equivalent professions. Is £100k a ridiculous salary for a Member of Parliament? I don’t think so. Plenty of folk get more, frankly. A good MP is worth it. –	MPs should have a first home and that should be a ‘constituency home’ in the constituency or nearby. MPs can pay for that out of their own salary like everyone else would. If a non-London MP wants the family home to be in London, that’s cool. They can pay for that out of the salary. We’re only paying for an MP to be in London, not the spouse and kids. 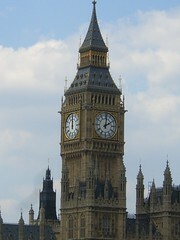 –	MPs should have an allowance to stay in London, unless they are MPs representing London seats. It should be adequate but not lavish. I used to live in a flat convenient to Westminster in Battersea so I have a notion of what that might cost. Rent, buy, take a hotel for as many nights as you need, stay at the Garrick, bunk up with a chum, subsidise a lover’s pad: that’s up to the member. But the total should be set somewhere around £15k – £20k PA (subject to review annually by an independent and realistic non-MP body). This ‘staying in London’ money isn’t redeemable against a house in a constituency. Or anywhere else. It’s for ‘staying in London’. Ok? –	Every business/sole trader is required to account for expenses. MPs should do the same, if just out of respect. If MPs claim a penny, they’ll need to produce a receipt. Fair’s fair. –	There aren’t additional allowances for a constituency or London home. No cushions, televisions, BBQs or tennis courts. You pay for your constituency home yourself from your salary and can spend £15k – £20k on ‘living in London’. We raised the salary after all. –	Travel to and from the constituency should be entirely redeemable as long as it’s reasonable: no real change there. Trains preferred. –	Maintaining offices in Westminster and the constituency should be a priority and it should be funded adequately: we all want our correspondence dealt with properly and promptly after all. Office expenses should be monitored properly by an independent non-MP watchdog that should also set realistic levels of appropriate allowances. If you hire your missus or the kids, expect greater scrutiny. Like I said. I don’t have a full solution but I wanted to put some thoughts out there. For instance, I feel really uneasy that an MP could pay a mortgage on a London base at public expense and then pocket the profit on the sale. There is also a case for MP research and secretarial staff to be employed directly by Parliament. But I don’t know how you sort that. What would you do? 9 Responses to MPs Expenses: Some ideas and thoughts. I see where you’re going, but I think it’s too much. They get a raise of 30 grand PLUS expenses nearly equal to what they’re getting now? It’s too much. In the States Congressional reps get a salary of around £140,000, and no living expenses. They are expected to keep their day jobs if possible, and pay their own way. If you cannot afford it on that salary — which is 5 times the average salary, then maybe you really don’t want to be in Congress after all. I think the same should apply here. Why on earth do they need extra money for a flat in London on that kind of salary? This is public service. Nobody should get rich on their salary as an MP, and nobody should do the job for life. Public servants do not and should not make a lot of money. They should make enough so that intelligent, talented people want to do the work. What you’re suggesting is an extra £50,000 over the base salary MPs make now. That’s the same amount of money two average UK families of four live on for a year. Good post. I generally I agree with you. – High calibre MPs … you might get High Calibre politicians, but not all politicians are high calibre people. Nature of politics. – The rules are totally crazy. They need to be simple, clear, defined and pulbic. – I agree on publishing expenses, but public scrutiny doesn’t always help. Take you’re average Guardian comment is free post to see how quick public to lynch mob goes. Do you want politicians justifying every starbucks coffee instead of doing some real work? – I agree £100k isn’t ridiculous for people who run the country. However most people seem to think it’s a sin if people earn more than them. Well most daily mail readers. – I have no issues with a furnished London home. It just comes down to cost. Allocate a proper cost for a London allowance, put it out to tender to management company. Retender every 5 years. Management company sorts out London homes. Just get Parliament to buy a big London hotel. Assign a few coppers to guard it and allocate a room for every MP. Give the senior ones a suite to be used as office etc and make office space available for all. Then let them bugger off home at weekends or whenever they’re not required (read as can be bothered to show up to show up!). If they haven’t got a home what the hell did they do before they were elected? Oh their home is in the wrong place? Tough!. If you want the job either travel or relocate like everyone else struggling to find/stay in employment. I’m cautious about taking too much from the US system, because we know that some of the slack is taken up by private interests and lobbyists. Also, I’m cautious about doing anything that means less well off folk don’t stand. Parliament can’t go back to being the preserve of the rich: I want teachers and nurses etc in the Commons. When I look at Reps stateside I think we see a group of rich people who can afford to be there regardless of salary. I think the problem here is largely the fiddling and not the totals. I don’t think these allowances are lavish. Do they seem like a lot to ordinary folks? Sure. I want MPs to have outside interests and broad experience, specifically in business and public services. But when they’re MPs, I want them to be MPs and not missing a debate or committee meeting because they have other things to do. And wowser: what a terrorist target… expensive to protect. I think the comments made from a business and Cllr point of view are really useful. Dan, you say the US congress seems to be the province of the rich, but to an outsider it’s hard not to say that Parliament has its fair share, no? It’s all sir this claiming for his tennis court repairs and sir that having his moat drained. Swimming pools. Movie stars. All parliaments have a disproportionate share of the wealthy and middle class because they are more likely to have been educated about government and public service. But a base rate of £65,000, (going up to nearly £70,000 later this year, BTW) is more than three times the average family income in the UK. Without a raise, that’s gotta be attractive to the less wealthy. I don’t know about you, but I could live on it. And if you can’t find a place to stay in London, and in your constituency on those days you have to be here or there, with your transport costs paid for, then, well, something’s wrong and it’s not that the pay’s too low. Yvette Cooper and Ed Balls have become rich beyond their wildest dreams in the last few years at our expense. Literally. And we are subsidising the rich MPs’ home repairs. I have several fundamental rules, and one of them is this: Anybody who gets rich working for government is stealing. I read your ideas the other day and have been pondering them. I like that you are trying to come up with something other than trashing the spenders – but I do think we need to see all the spenders named and shamed before there can be a progression to a system change. In the current climate, I think paying MPs £100,000 would need to have some boundaries and ground rules… As you say, we need quality people – and I don’t consider people who have happily abused the system to be quality people. So I would only agree with such a raise if it included the proviso that none of the current MPs who have been claiming unethically are entitled to stand as an MP. Actually I think that should be the case whatever the changes to the system are. I think expenses claimed should be transparent and published in a way that is accessible to everyone they serve. I think they forget that they are actually supposed to serve us. Re getting rid of the worst offenders. That’s tricky isn’t it because, as the refrain goes, ‘I was operating within the rules as they stand’. I’d say we have a few chances. Trust the voters to hound the worst scroungers out at the next election. The next election will be one of great change anyway. Quite a lot of MPs are retiring and lots Labour ones will (probably) lose theor seats. Also, don’t forget that consituency parties might take umbrage, grasp the opportunity and deselect a ‘trousering member’. The other hope is where MPs have fiddled the tax authorities specifically on capital gains, that they be expelled from the house for breaking the law? Or is it too much too hope that some might just do the decent thing and just resign in extremis? Twitter Politics: Broadcast or Conversation?